Field Trip: Thailand's "Famous "Tuk-Tuk"
As I'll be coming home soon...yes, soon, and that's for good, I'll be missing having joy rides in these famous "tuk-tuk" of Thailand and Cambodia. I would admit, I'm pretty amazed with these open air taxis usually catering to foreign tourists. I guess, I'm not the only interested to ride tuk-tuk's as even my son and daughter had expressed their desire to experience a ride in these 3 cycle small vehicles when we toured Bangkok sometime last year. We've also seen lots of tourists posing for photo shoots in front of these cute vehicles. 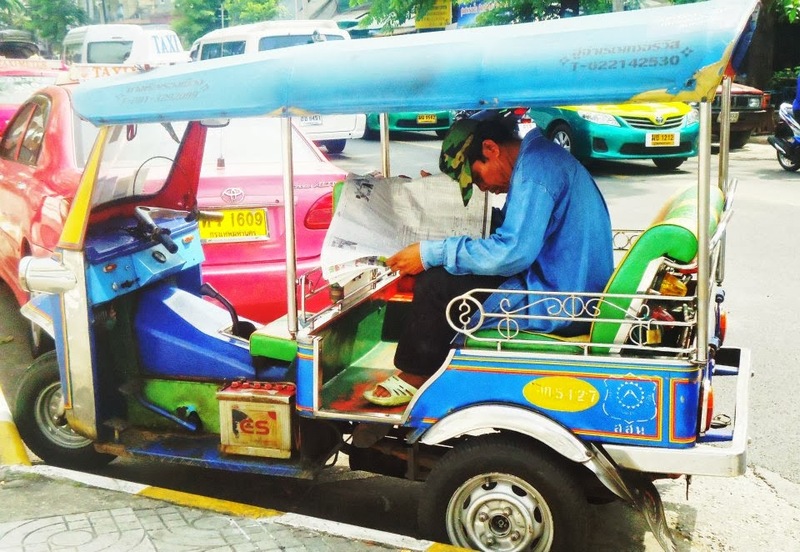 Tuk-Tuks were invented in Thailand over 50 years ago, evolving as a motorized relative of the rickshaw. The Tuk-Tuk was given its name from the rather rough sound of the early models. 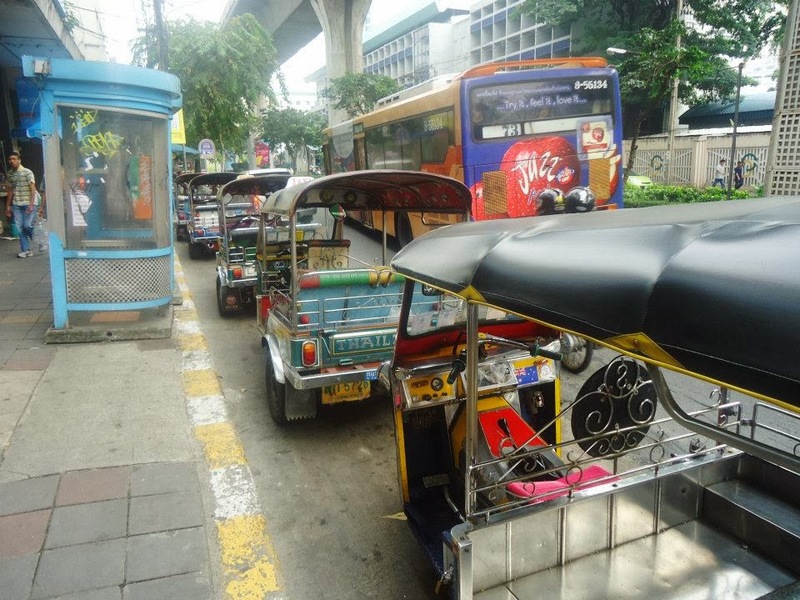 The single stroke motor powering the first three-wheelers had a distinctive hum when operating, and the "tuk-tuk-tuk-tuk-tuk" sound became a familiar sound to many in need of quick and convenient transportation in Bangkok. The Tuk-Tuk has improved its technology and quality over the years, while emerging as one of Thailand's most recognizable and identifiable symbols. While Tuk-Tuks are most commonly used for transporting passengers, many industrial uses for the vehicle have been initiated with dramatic changes incorporated into new designs and models. The relatively small size of the Tuk-Tuk finds the vehicle navigating small alleys on delivery routes, and scooting around narrow factories taking advantage of its agility and slight turning radius. Since the beginning, They can be modified to have automatic gears, doors, safety belts, air-conditioning, and much more depending on what the customer require. I am hoping that we can still go back to Thailand for a visit in the near future. Both my kids loved Bangkok and they had both expressed their desire to visit the city again next time.